Brochure – eCopy ShareScan - Empower productivity with smart document capture. Nuance® eCopy ShareScan™ 6.0 brings power and flexibility to document capture workflows. It delivers all the capability necessary for business content workflows in one package that puts control in the hands of the user. Administrators can get ShareScan up and running in a matter of minutes with a visual workflow editor. Knowledge workers can easily capture documents into workflows from an MFP or mobile device with little or no training. eCopy ShareScan Elements — Improves on critical business collaboration processes like scanning to email, shared folders, home folders, and sending to your PC desktop. eCopy ShareScan Office — Does everything Elements can do, plus any one of our additional destination connectors for document management systems such as Microsoft SharePoint or Cloud repositories. eCopy ShareScan Suite — All the functionality options eCopy ShareScan Elements has to offer, plus any three of our additional destination connectors for document management systems such as Microsoft SharePoint or Cloud epositories. Additionally, you get critical business processing capabilities including Barcode Processing, Form Processing and Bates Stamping. eCopy ShareScan Enterprise — High scalability and high automation document capture workflow platform. Includes all Nuance eCopy connectors and extenders in a single, low cost license for deployments with 50 or more MFPs. eCopy ScanStation — This freestanding kiosk turns any MFP or scanner into a full-service scanning automation station. Most accurate document conversion and OCR — Scan to Microsoft Word, Excel, PowerPoint and Searchable PDF with the highest level of accuracy. Best integration with Microsoft Windows Active Directory, Outlook and Office 365 — The most complete, seamless integration with dynamic connectivity to user accounts to convert, email, share and secure documents on all Microsoft platforms. Fast, fully interactive scanning capability — The patented Work-While-Scanning™ feature allows document destination information and metadata to be entered while scanning, which increases productivity. 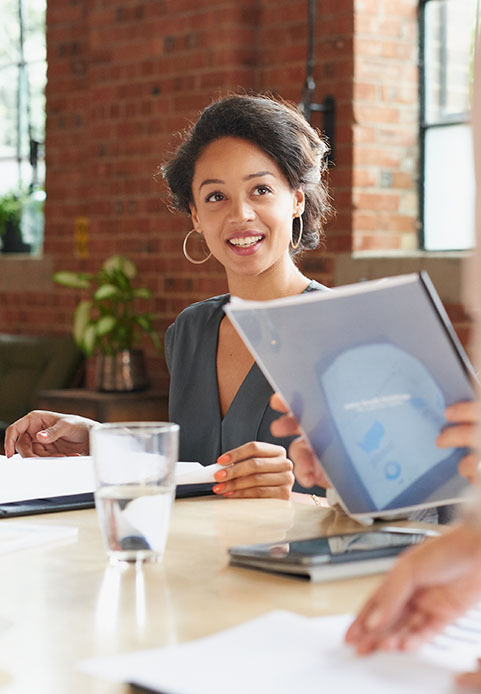 Instant feedback to eliminate mistakes — Preview scanned documents, modify scanning, type ahead lookups, and validate successful scanning with instantaneous feedback and alerts. Unsurpassed scan-to-folder capability with customisable workflows — Use existing workflows or create new ones on-demand to send documents to folders as you create them. Content aware security alerts — When someone scans something they shouldn't, eCopy will send an email alert. Connect to any system — eCopy provides pre-built connectors, connector scripting capabilities and a full connector software development kit. Email and folder watching service — Automatically brings existing PDF document into eCopy workflows. Smartforms processing — Allows customers to scan documents or forms and automatically capture information off the page (multi-page template support, auto-zone detection, anchors). Today's businesses need to capture, store, and distribute paper-based information among co-workers, suppliers, and customers. However, incorporating paper-based information into digital workflows can prove challenging. The best MFP scanning and OCR solution for processing forms and documents — From forms processing and barcode-based routing to document encryption, job batching, offline processing, and more, eCopy ShareScan delivers production-caliber OCR wrapped in a superior user experience. Offline processing and notification means that you can submit large batches and return to your office before completion. Process forms faster — With zonal OCR, you can focus in on precise, pre-defined fields, extract data, and pass it to back-end applications. Automatically convert hardcopy originals into accurate, formatted, editable soft copy — Scan, convert, and edit Microsoft Word, Excel, and PDF files — including columns, graphics, and tables. Save time and money with high accuracy and less reformatting. Streamlined archival with flexible ECM options — eCopy ShareScan provides complete integration to content management, network folders, SQL databases, and more. Connect with leading ECMs such as SharePoint, RightFax, EMC Documentum, iManage WorkSite, OpenText DM, or OpenText eDOCS. Industry-leading mail and file system integration — Access global and personal address books and browse folders right at the Xerox MFP — no need to go back to your desk to file or route documents. The "Express" mode automates routine email distributions and sent email appears in the user's personal "Sent Items" folder. Strong security and seamless active directory integration — ShareScan Suite integrates directly with Active Directory and your system user security credentials so you can require users to enter AD credentials to access the system and connected applications. It also can encrypt documents for greater security over public networks. 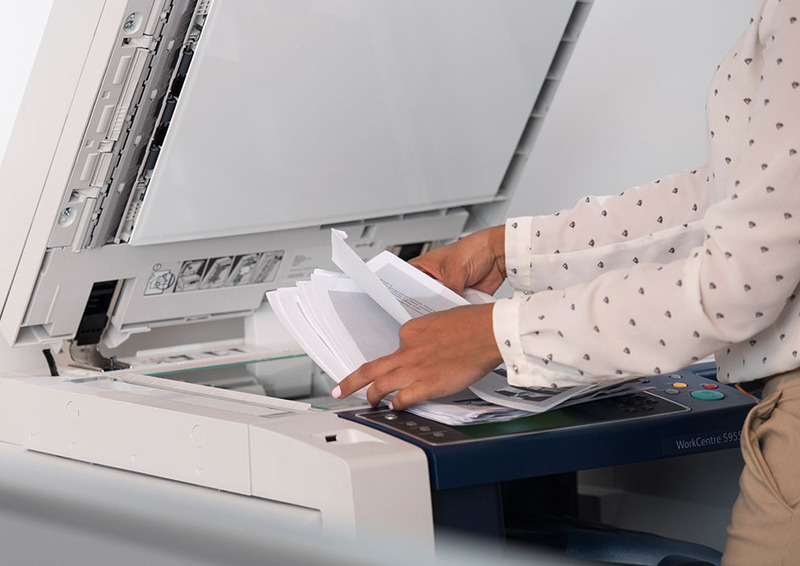 Xerox award-winning copiers, printers, and multifunction printers include flexible platforms that accommodate a wide variety of software solutions. Software functionality may vary by product model. Contact your local sales representative for detailed compatibility information. Additional products are supported with eCopy ShareScan 5.x.